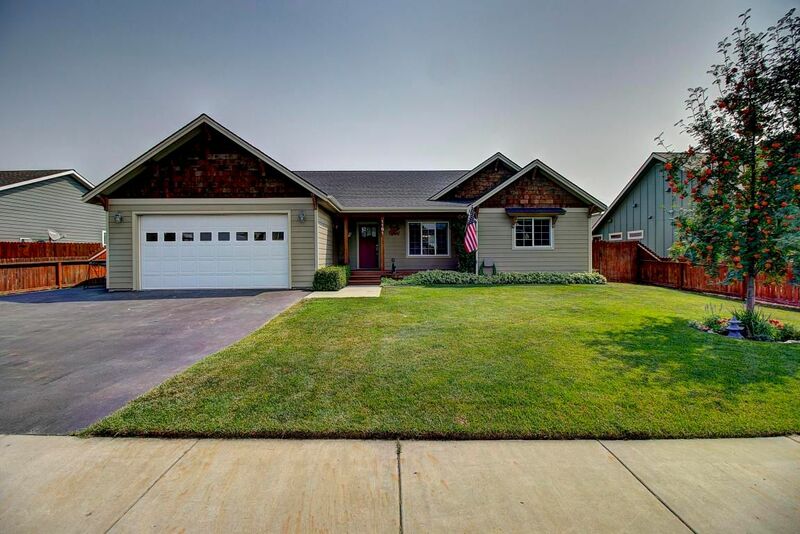 Beautiful Ranch style home with full front porch! Spacious master suite! Master suite includes soaking tub with separate shower, walk in closet and cathedral ceiling! 2 additional large bedrooms, separate laundry/mud room, full guest bathroom, modern kitchen with red oak floors, Stool and Apron Craftsman style trim, stainless appliances, premium maple cabinets and bakers pantry. Great room with red oak floors, cathedral ceiling, eating area and neutral decor through out. Enjoy evenings in the fenced backyard on the cedar deck listening to the fountain from the water feature fish stocked pond. MUST SEE! Schedule your private showing today! Call Laurie Davis or your real estate professional! This entry was posted in Uncategorized by GMLteam. Bookmark the permalink.